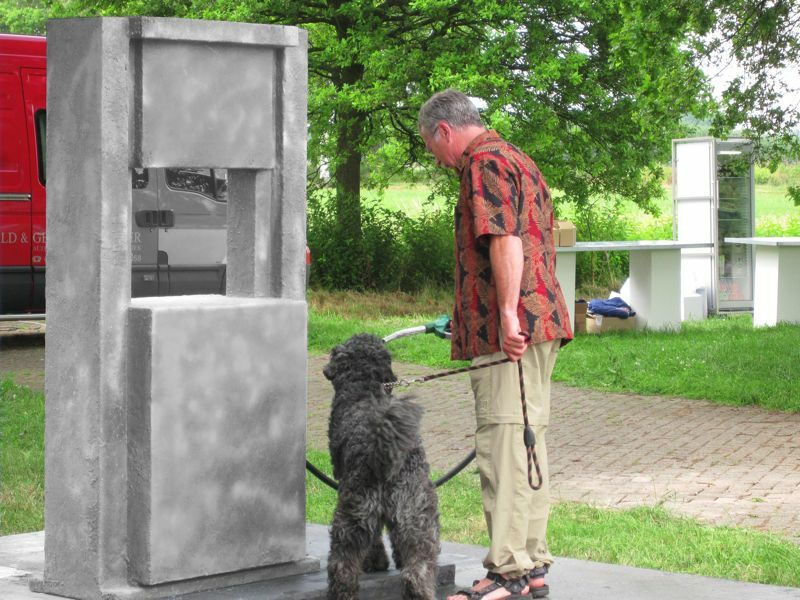 Exhibition organized by Kunstenlab Deventer, Aktuele Kunst Hengelo (AkkuH) and Kunstvereniging Diepenheim. 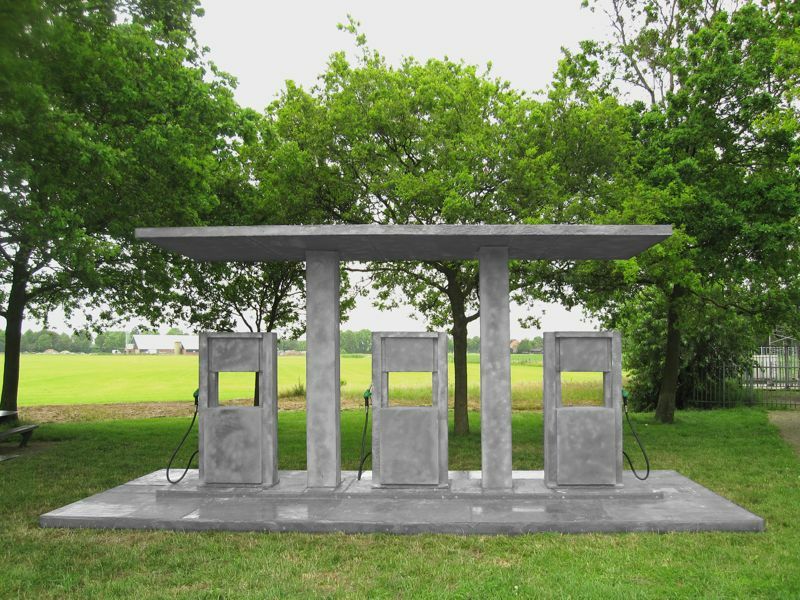 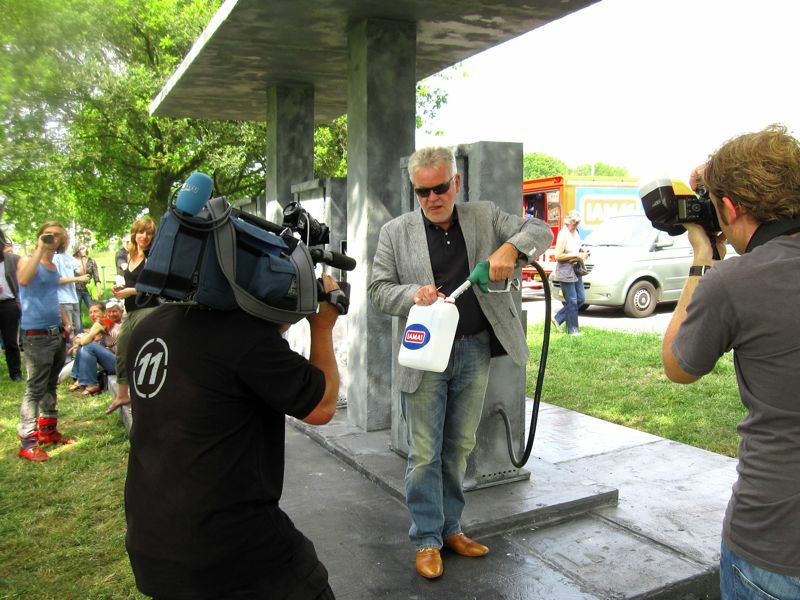 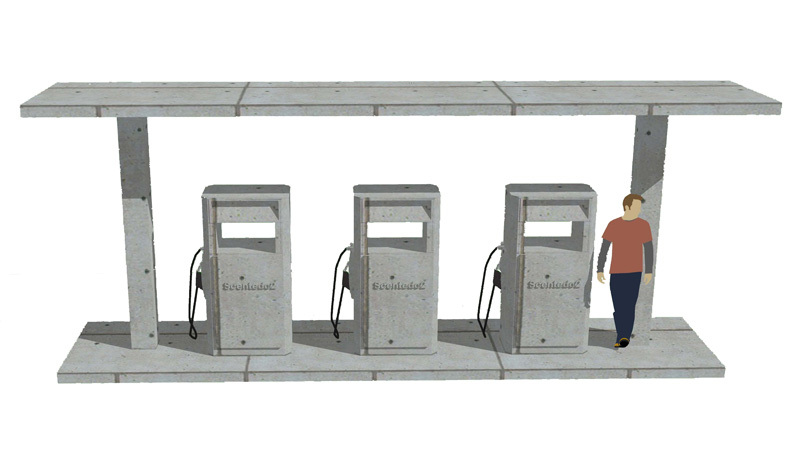 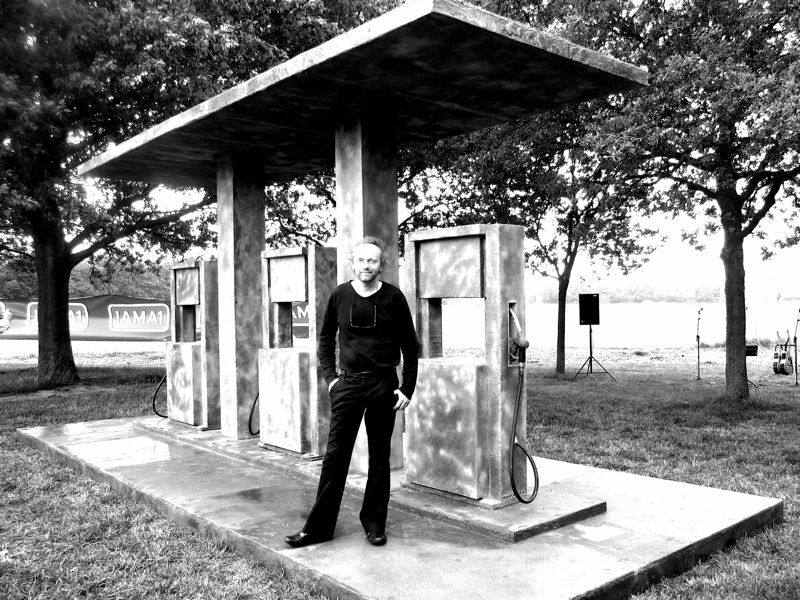 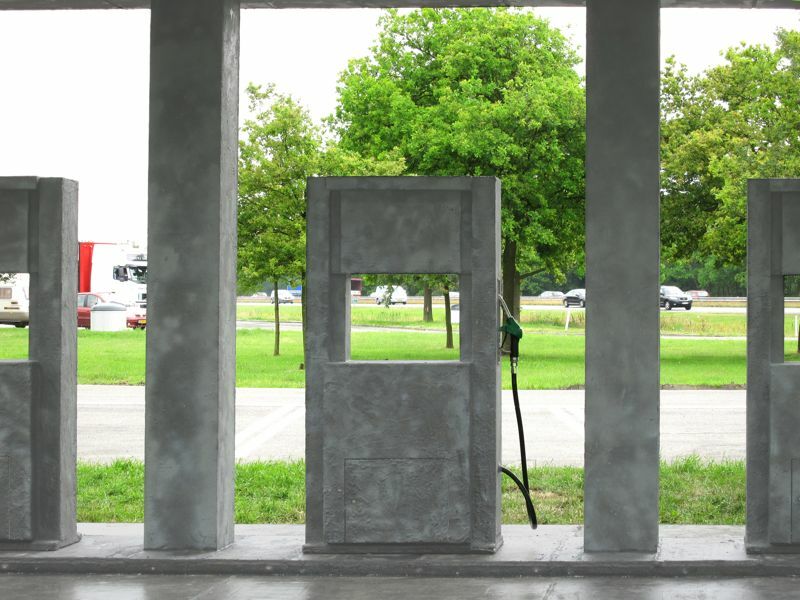 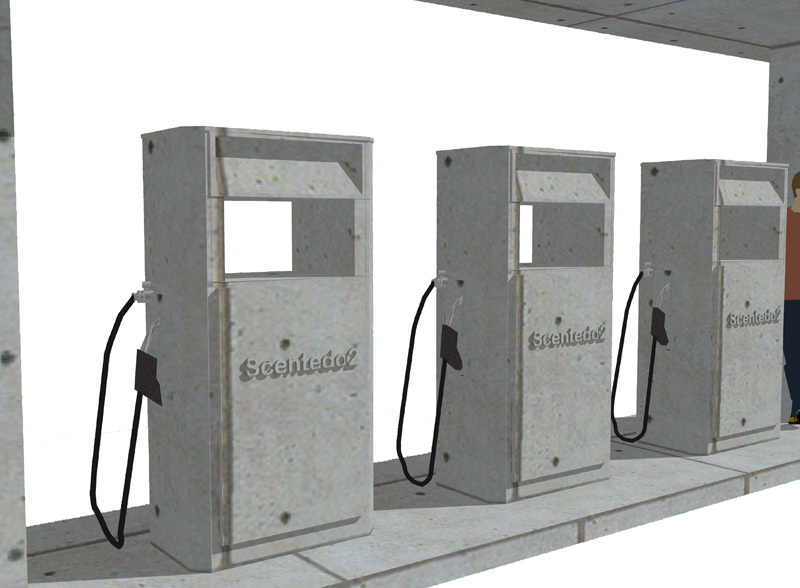 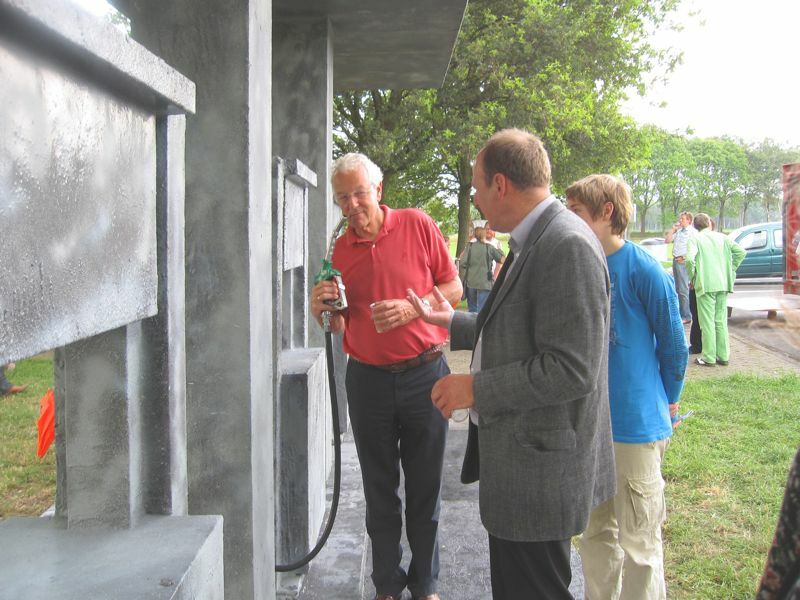 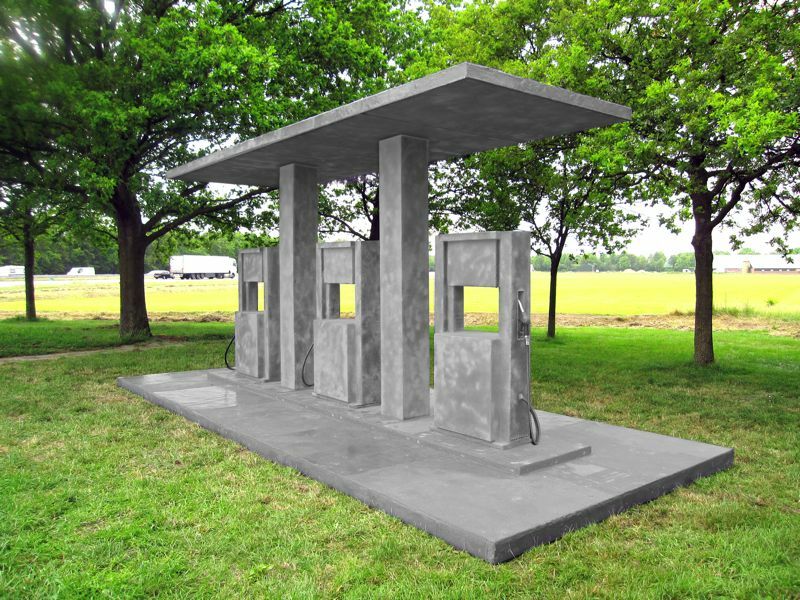 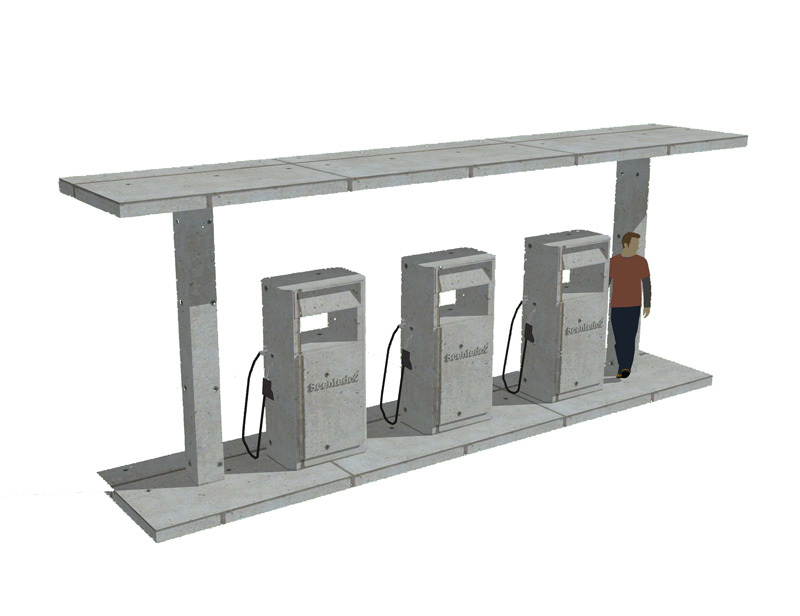 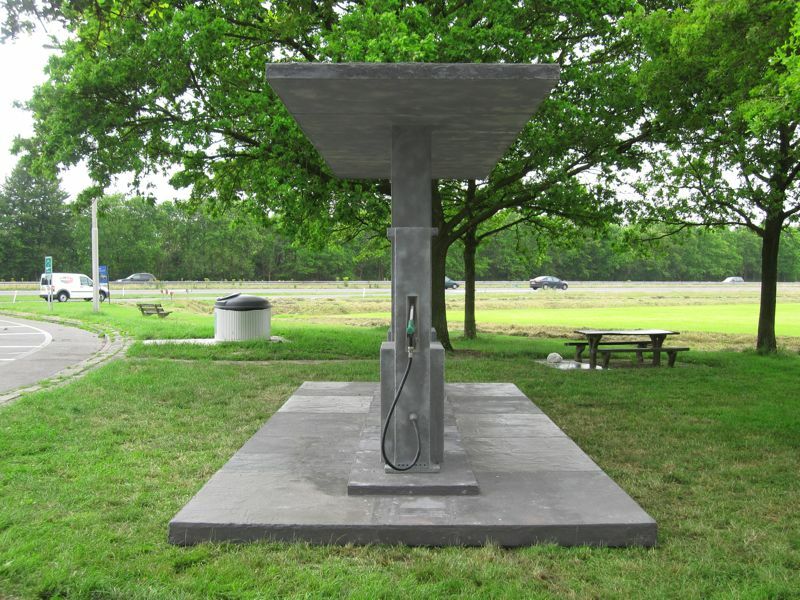 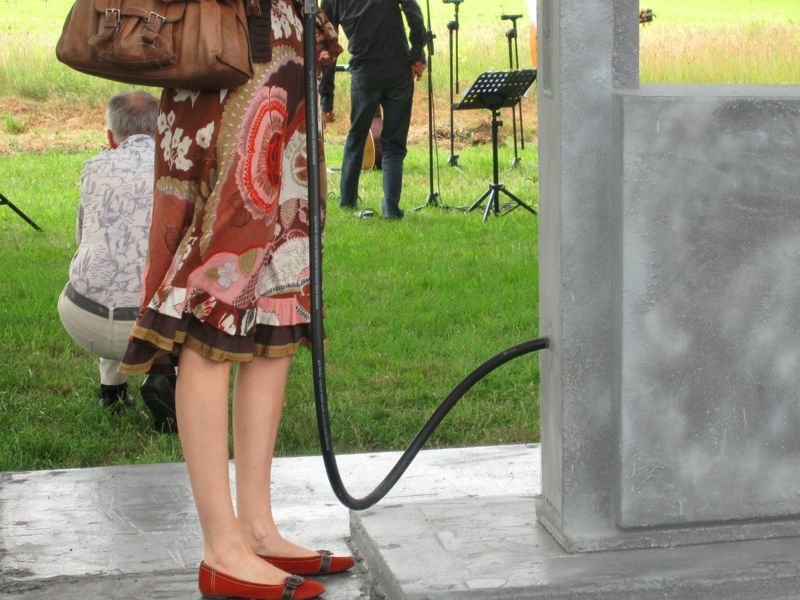 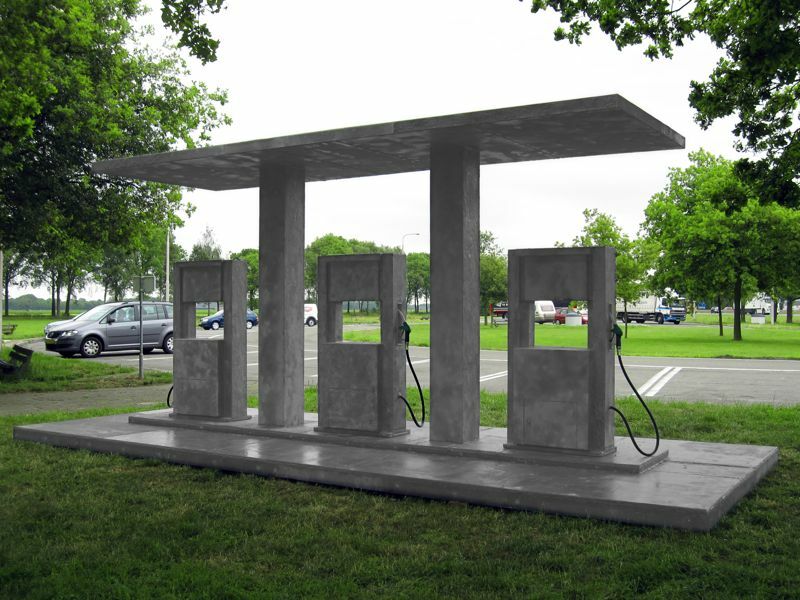 A fuel station (original size) made in fake concrete on a parking place next to the A1 Highway in Deventer, The Netherlands. 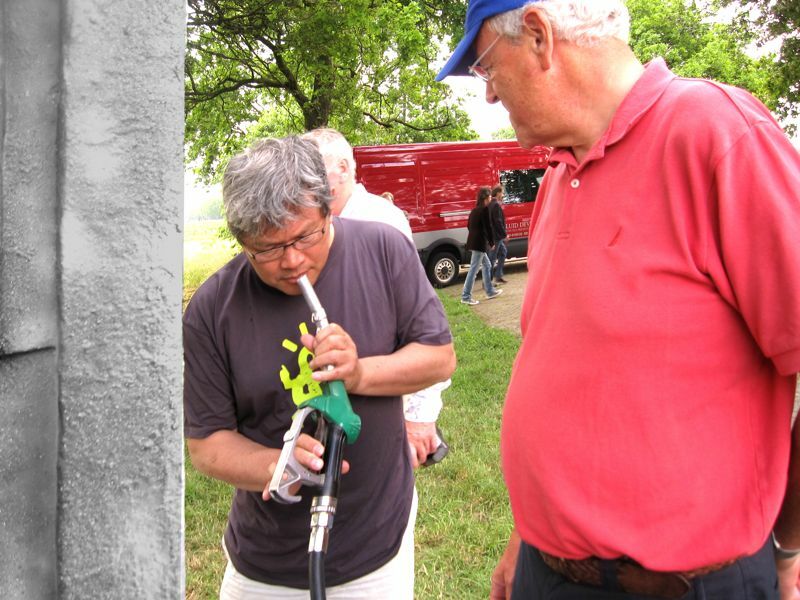 There are three scents refering to the nature, the community and the air pollution. 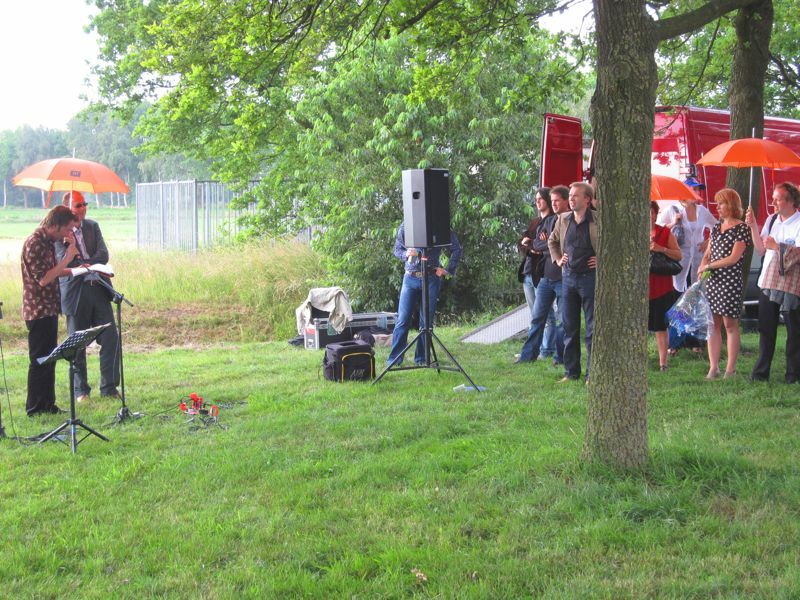 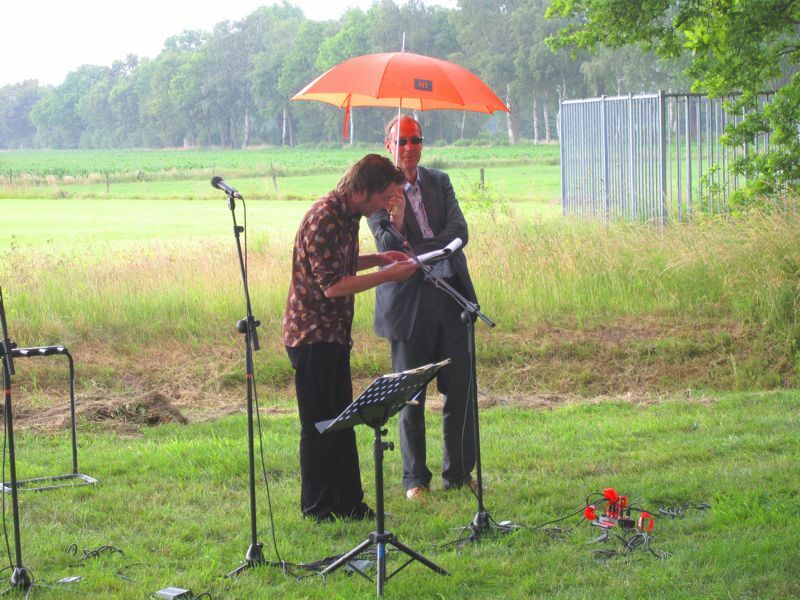 A1 the name of the multiannual cooperation between the Kunstenlab in Deventer , art association Diepenheim and the art centre Hengelo. 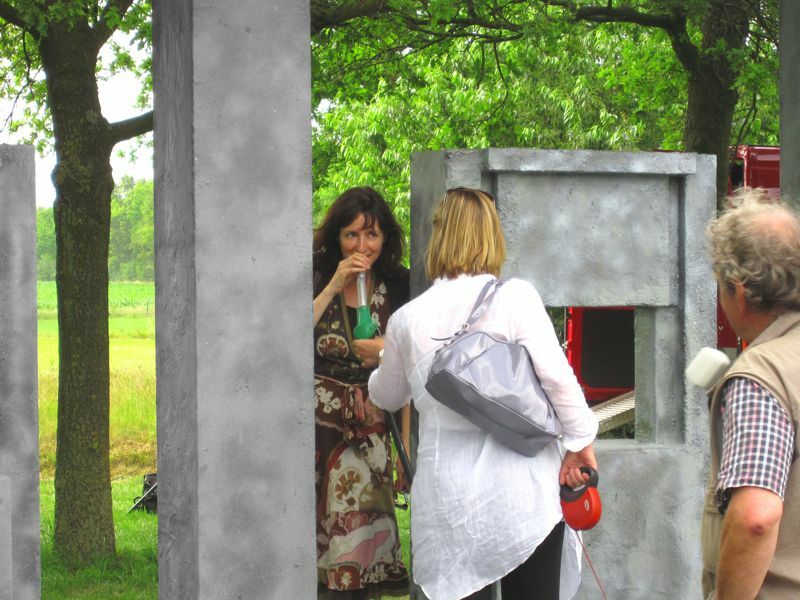 It has the aim to be a cross-border project that wants to give new impetus to the cultural climate in the region and reinforce the cultural infrastructure. 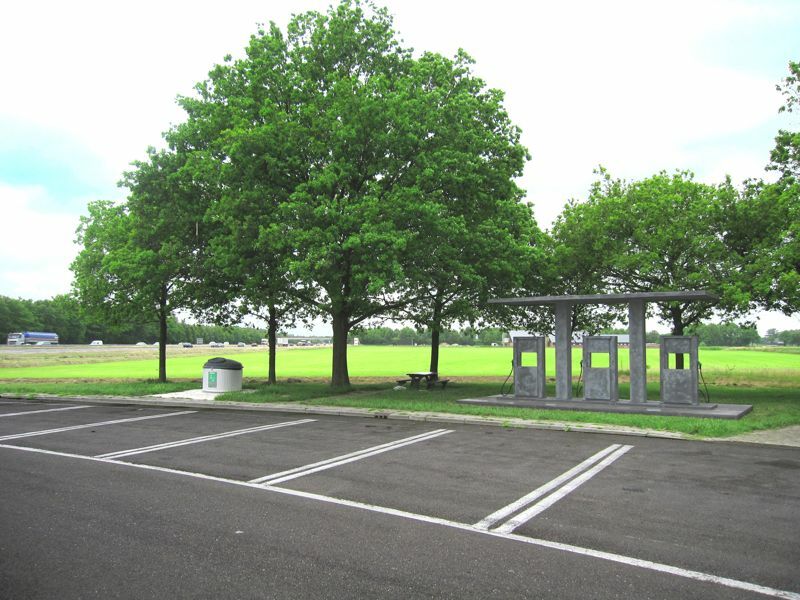 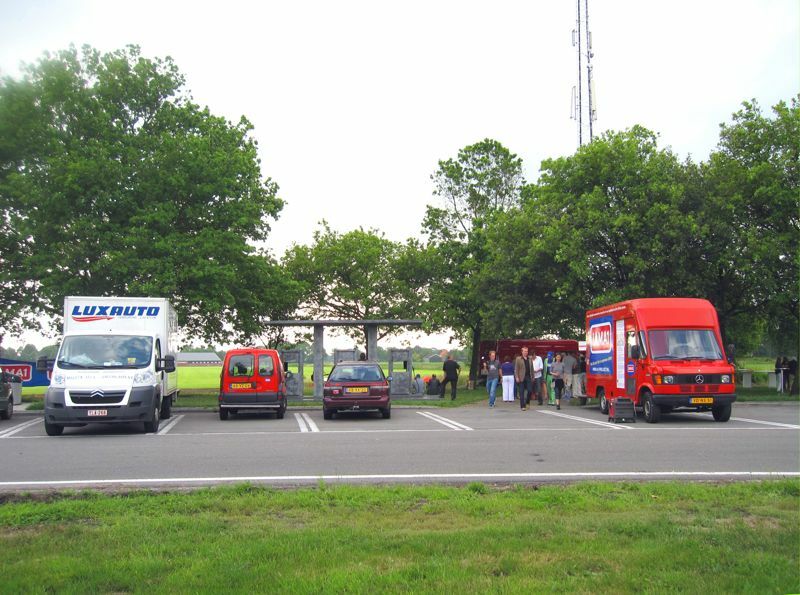 IAMA1 is called to the motorway which link the East and West of The Netherlands with the German hinterland and to which the three institutions are lain. 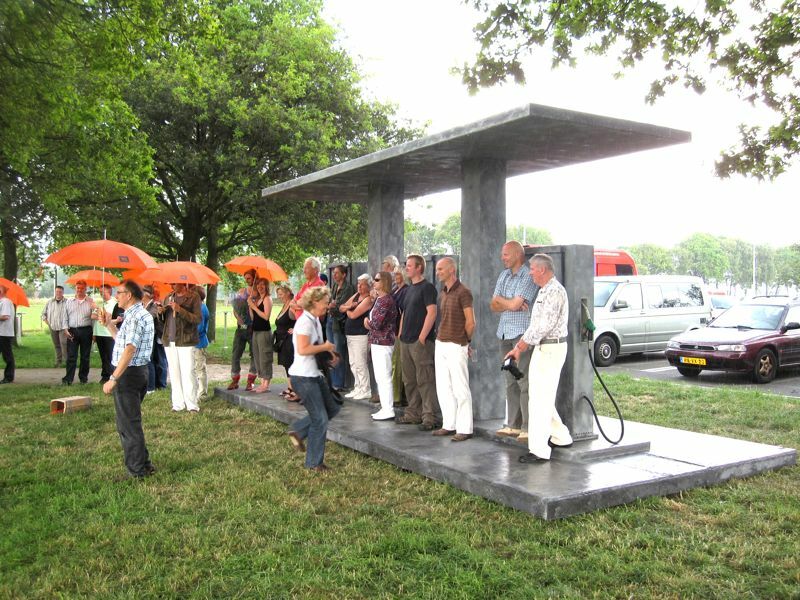 Within the framework of A1highway different extraordinary and remarkable art events, exhibitions and projects are organised. 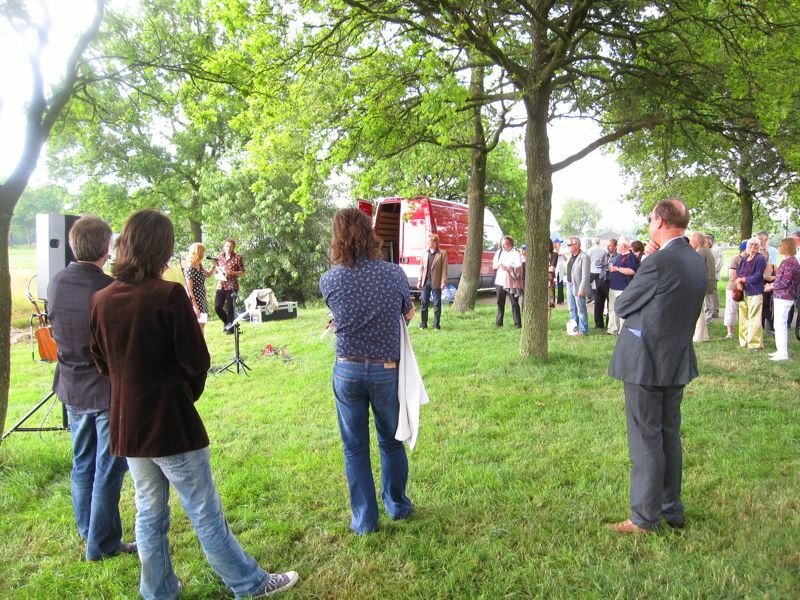 Participating artists to the IAMA1 project are: Peter De Cupere, Loretta Visic, Hans van Houwelingen en Mu Xue, Giny Vos en Zoro Feigl. 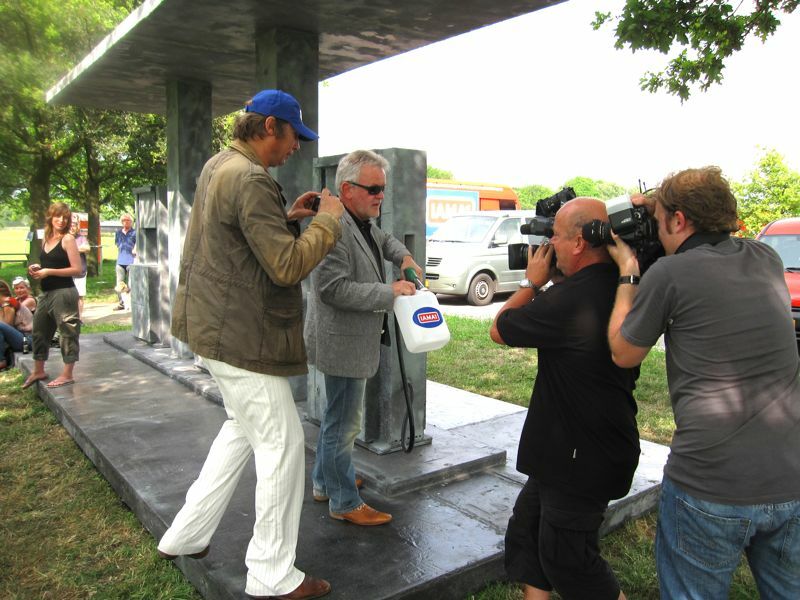 Jord den Hollander made for the A1 manifestation a special movie. 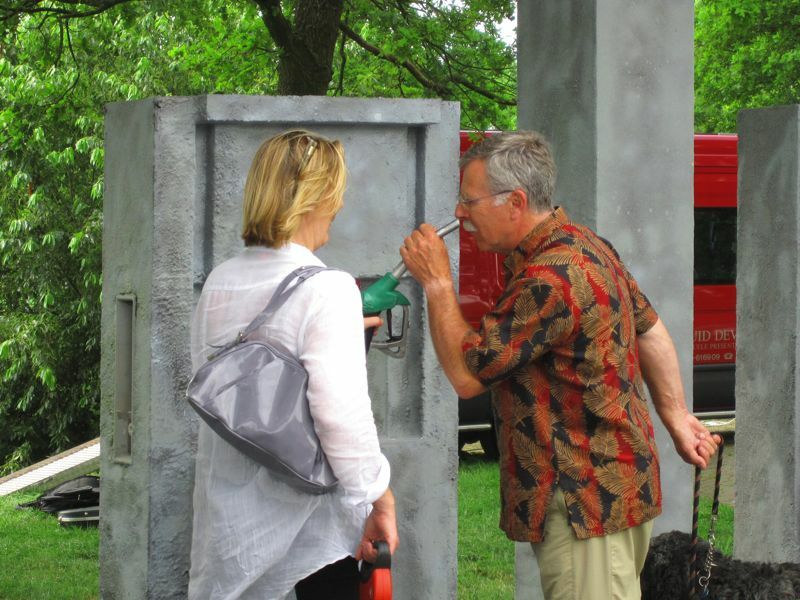 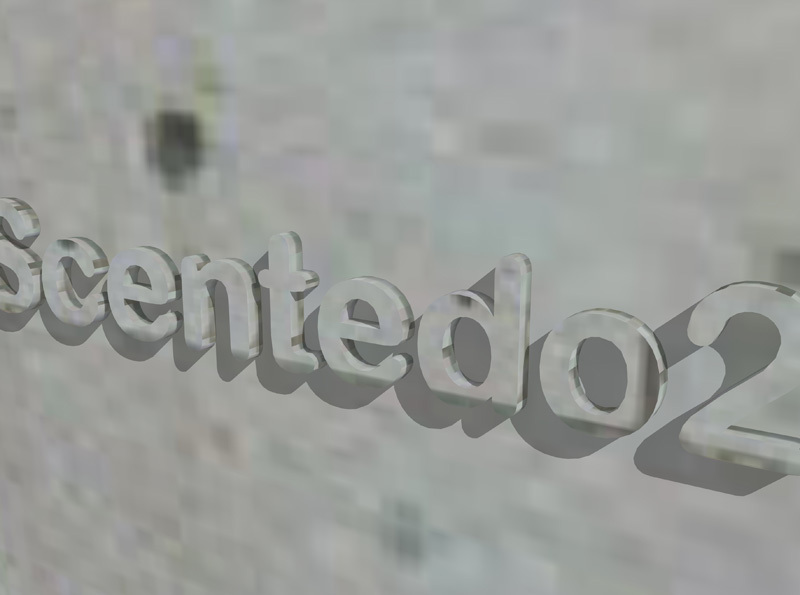 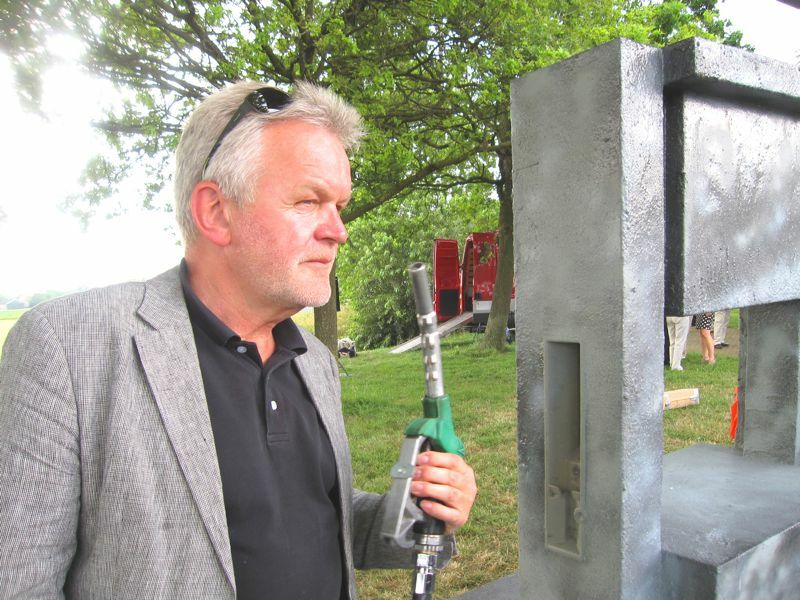 Peter De Cupere presents Scentedo2, based on the idea of scented O2 (air). 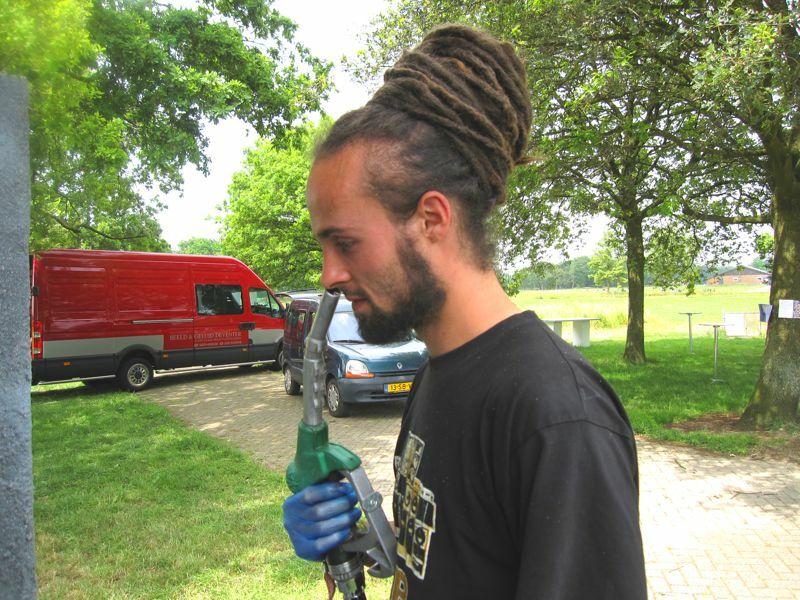 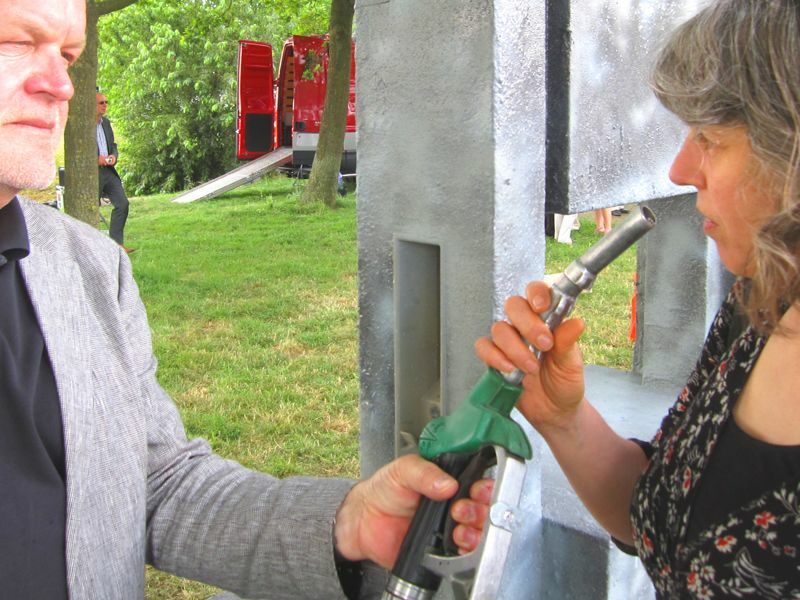 Visitors can't take real fuel in the fuel station but they can smell three different fragrances that refer to the nature, the community and the air pollution.